The Claire Pro sets completely new standards for safety cabinets by the sum of the presented components and features in terms of performance, function and design. The combination of the broadest spectrum of options up to customer-specific unique designs opens up limitless possibilities for individual applications and highest safety levels, achieved by no other product on the market. The BERNER SealSafe® Sensor+ has been specially designed for receiving and air-tight sealing of waste requiring special supervision. 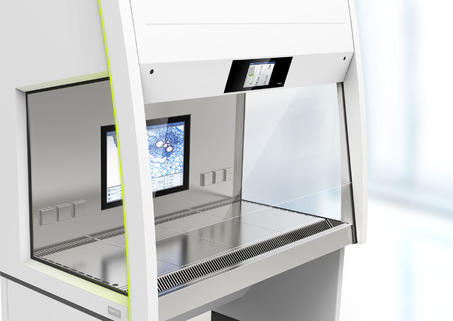 It has a touch-free sealing facility to effectively prevent contaminations and is available either as a mobile unit or can be built into laboratory walls or tables.